Donna Eacho is a graduate of Duke University and holds an MBA from the University of North Carolina at Chapel Hill. She worked as a bank executive for ten years, including five years as Vice President of The First National Bank of Chicago. After her banking career, Donna focused on educational, community, and political fundraising as well as volunteer efforts. For nine years, she was an active member of the Board of Trustees of Round House Theatre in Bethesda, Maryland. Donna served as a judge for the National Capital Business Ethics Awards program, and was a member of the Board of Visitors of Duke University-Trinity College of Arts and Sciences. 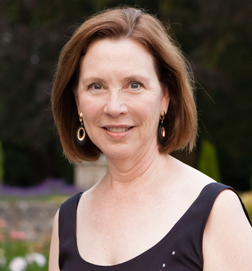 From 2009 to 2013, Donna and Bill Eacho lived in Vienna, Austria where Bill served the US Ambassador to Austria.